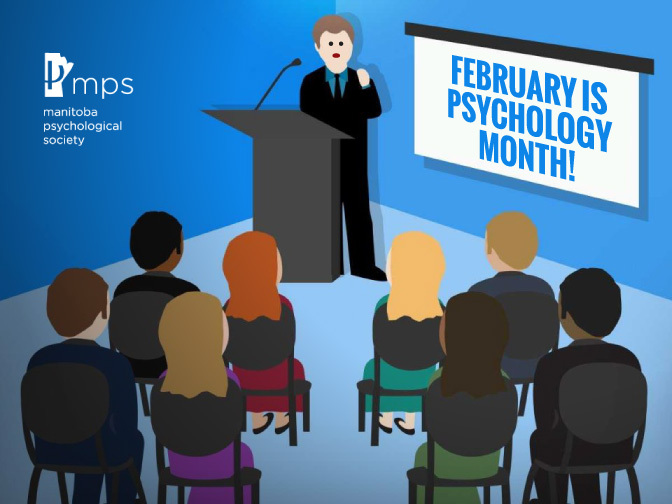 Psychology Month 2015 is just around the corner! Psychology Month is a national initiative aimed at broadening public awareness and exposure to the diverse offerings of our discipline. MPS encourages you to consider contributing to this initiative by volunteering to give a presentation in February. Why contribute to Psychology month? It raises the profile of the important psychological work being done in our community. It is an opportunity to connect with your community while providing a service that is greatly appreciated. It helps inform our community of the many applications psychology has to offer. In addition, as we are gearing to increase MPS’s exposure in 2015. Please tell us if you are interested in giving or have planned talks throughout next year. This could include giving the same talk at different locations or at different times throughout 2015.